Guess what I did last night... I took this picture, at the one show I had to see before I die... Weezer. My boys were in Salt Lake City and my hubby and I made the 3+ hour drive to have our socks rocked so hard. It was... AMAZING. 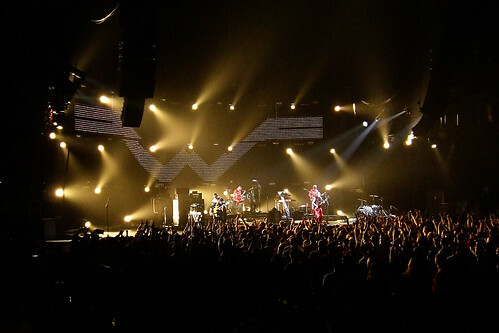 Yes, Weezer was awesome babe. Definitely a good investment. Oh my gosh, I bet you all had SO much fun! My baby's first experience w/ cake batter!